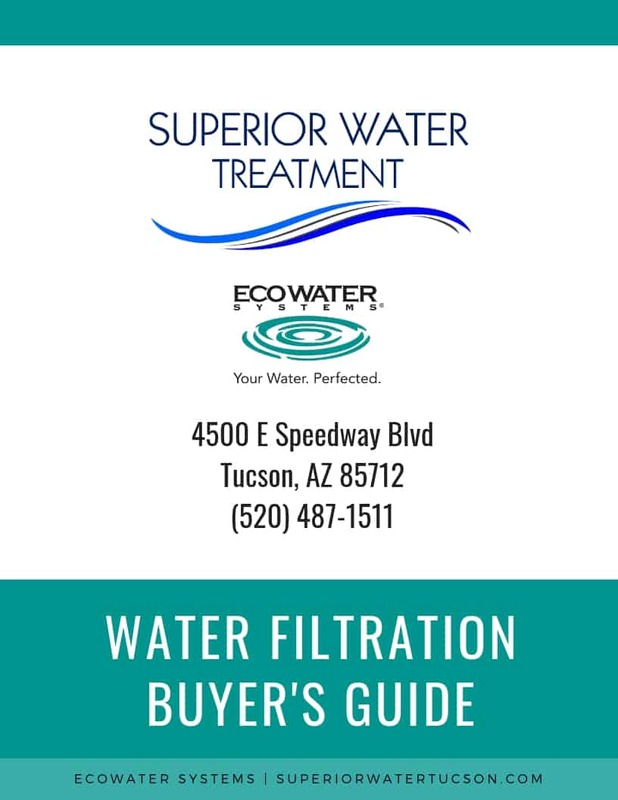 Get Big Savings On Water Softeners from Superior Water Tucson! The only system made in the USA with both softening & filtration capabilities in an all-in-one system, a dare to compare guarantee & remote, wireless monitoring! Removal of chlorine taste and odor, hardness minerals, and sediment. A layer of coconut-shell carbon that filters the water throughout the home without compromising water flow. Provides great tasting, healthier water in every outlet. Prevents scale build-up on pipes, faucets and water using appliances. Soft water also requires up to 75% less soaps, cleaners, and shampoos according to the Battelle Institute. Eliminates spots on silverware, glasses and dishes. Tested and certified by NSF International and WQA against NSF/ANSI Standard 44 for the reduction of Barium and Radium 226/228. Just like your television, your EcoWater Softener even comes with a remote control. EcoWater systems use proprietary technology to combine all your whole home water treatment into one. Reduce chlorine, soften water, and remove sediment in one system. Makes for simple maintenance and a lot less cost! Hard water minerals bonds with skin and hair leaving a nasty film. Kind of like that limescale on your faucet! An EcoWater softener removes hardness minerals naturally so you can stop spending money on lotions & skin care products as your body becomes free of buildup! Dishwashers, washing machines, water heaters (tankless, electric, & gas), ice maker, boiler systems, & humidifiers all suffer when your water contains hardness minerals. Do them a favor (and your pocketbook) and give them soft water. Plus you can save up to 40% on energy costs related to your water-using appliances – that’s pretty awesome! How do you know if you have hard water? Your water takes forever to heat up or you’ve prematurely had to replace water-using appliances. Your faucets and fixtures have a white residue that’s hard to remove. That’s limescale buildup and it’s accumulating in your pipes and water using appliances too!